In the following sections, we will explain the different functions of the manager role. Managing the full list of all athletes in the club including their profiles. The manager is able to move athletes between groups very quickly, look up contact information or send an email directly to parents. The profiles include contact information, training groups, attendance, payment history and a lot more. Athletes can update their contact information on their own (see how), which means, that managers have always up-to-date information available. Access to all training groups including responsible coaches, attendance reports and weekly recurring workouts. Each coach works only with his/her training groups, which means, that the manager can decide which groups a coach can see. All workouts, events, and competitions. The manager can see the schedule of his coaches and find replacements when one coach is not able to attend his practice. Marking attendance is done with just a few clicks and all the data is automatically sent to the managers. When somebody forgets to mark attendances, the manager can send them a reminder. 400 children, makes approx 800 parents, that is nearly a thousand different phone numbers and email addresses! It’s impossible to collect this kind of information and keep it up to date. Sportlyzer allows athletes to update their profile on their own, which means, that coaches and managers don’t need to worry about updating this information all the time. Messaging allows sending emails to all the contacts within a sports club. Phone numbers and email addresses are also available for coaches on Sportlyzer Coach Diary App. Each athlete can determine his/her billing address. 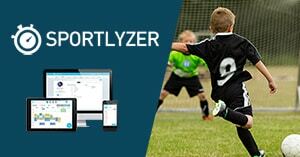 Invoices, which are conveniently created in Sportlyzer are automatically sent to the right persons. Group fees and projects like club T-shirts or training camps can be managed separately without confusion. At the end of each month, the manager has the possibility to import the bank statement and compare payments with invoices. This way all athletes get their individual payment history, which is linked to their profiles. Sportlyzer is all about collaboration. You don’t have to be afraid to add your coaches. Coaches have access to their athletes, but cannot change them on their own or add new ones. So managers don’t have to be afraid, that coaches might delete the whole athlete list “by accident”. You can give them specific rights regarding how much they can see or do, so everyone's needs are taking into account.